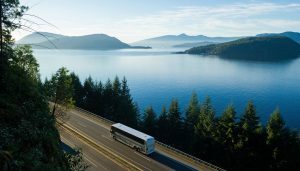 Exclusive coaches with driver. We have coaches in different sizes from 16 to 60 seats. Please send email to post@tbuss.no or call +47 72553394 ext # 2 (mon-fri 08-17) for quote and information. 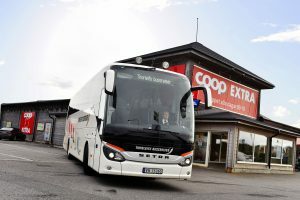 FREE SHOPPING BUS COOP STORLIEN SWEDEN. Free shopping bus to Storlien 7 days a week. We can provide VIP transport with driver in 42-46 seater, VIP-coach, Mercedes S-class and Mercedes Sprinter. We also arrange trvel packages. Please see: https://tbuss.no/vare-turer/alle-turer/ or call +47 72553394 ext #1 (mon-fri 09-15).